Any investment can typically be summed up in two words: ‘risk’ and ‘reward’. 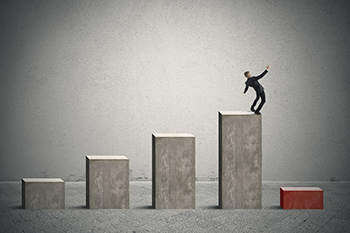 The general rule of thumb is that greater the potential reward, higher is the associated risk. Any investment can typically be summed up in two words: ‘risk’ and ‘reward’. The general rule of thumb is that greater the potential reward, higher is the associated risk. However, this doesn’t hold true in the reverse order; high risk doesn't necessarily mean high rewards. That is why you need to evaluate the kind of risks that you are willing to take while you are investing and how you can reduce unacceptable levels of risk. 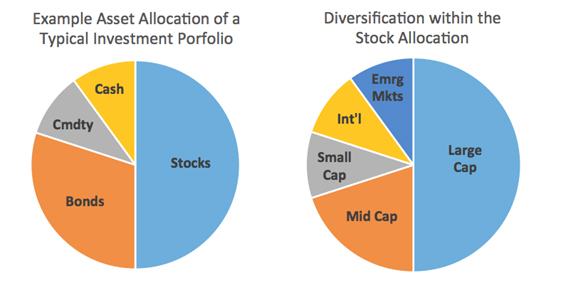 Diversification reduces your overall risk by spreading it over a variety of products. For example, if you have invested 25 percent of your money in ABC’s shares, 25 percent in XYZ’s shares, and 50 percent in PQR’s shares; it will considerably lower the risk of loss that you will face. In such a case, even if XYZ’s shares tank, you will only lose 25 percent of your money and the profit from the rest of 75 percent of your investment will cover this loss. To earn profits and avoid losses, you need to regularly monitor your investments and the share market’s trend. This will let you know which investments are at potential risk and you can sell them at the right time, thereby circumventing huge losses. Allocation of financial assets among equity, debt and alternate assets also helps to lower risks while trading online. Alternate assets consist of investment in any currency or commodity. For an investor with a moderate risk profile, a typical allocation could be 50% equity, 30% debt, and 20% in alternate assets. Consulting a financial advisor from online trading websites can also help you to allocate your resources in a better way. Before investing in the share market, you should research about your potential investment stocks. Check out the stock's history, earnings, growth, management team, and debt load. Compare the results with other similar investment products and to the other assets in your investment portfolio. You should consider consulting brokers with them before trading online; this will further lower your chances of incurring a loss. Overtrading is the single biggest mistake of most traders. For example, you should only trade in the share bazaar when you see a trending market and when you are quite sure that the investment will not result in a loss. Avoid taking irrational decisions. A good way to avoid overtrading is to get guidance from online trading companies or your stockbroker on whether to trade or not. A stop loss order is an order placed with a broker to sell a security when it goes below a certain price. A stop-loss order is designed to limit an investor’s loss in security. Novice traders have to give up trading due to huge losses incurred as they didn’t consider putting a stop loss in their trading strategies. It has been noticed that maintaining appropriate stop losses helps to minimize losses and maximize profits. IIFLMarkets is one of the best stock trading apps, time to give it a try.